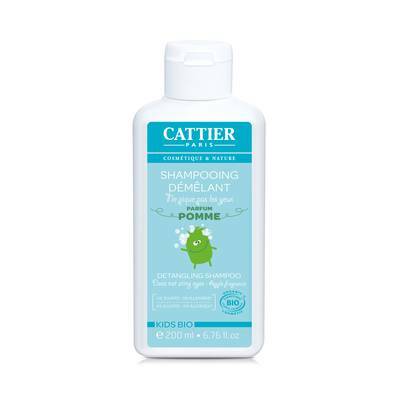 Specially designed to wash children's fragile hair gently thanks to its ultra-mild cleansing base, the Cattier Kids Organic detangling shampoo is guaranteed to contain no sulfates, parabens or notifiable allergens. Its formula, enriched with moisturising and protective aloe vera gel and wheat proteins with detangling properties, is so gentle and effective that no knots resist it. And what’s more, it doesn’t sting the eyes! Its fruity and tangy fragrance releases its exquisite sweet apple notes, leaving the hair delightfully scented, shiny and easy to style, to the delight for children and parents alike.